A real Boom Boom recipe..Takes only 15 min to prepare…Yum YUM..
1. Crush the crackers and mix in with fruits then add the dulce de leche..Make a dough of it..Shape it and keep it in the refrigerator( deep Fridge chamber) for 10 min ..
2. Take it out and frost it with chocolate then put it back in the refrigerator for 5/10 min..Take it out..Cut them and let it be in room temperature and serve with coffee…Bon a Petit!!!!!!!!!! Chocolate Frosting: Melt any milk chocolate in microwave , you may add little heavy cream with it..
Dulce de leche is nothing but caramalised sweetened condensed milk, known as toffee too. 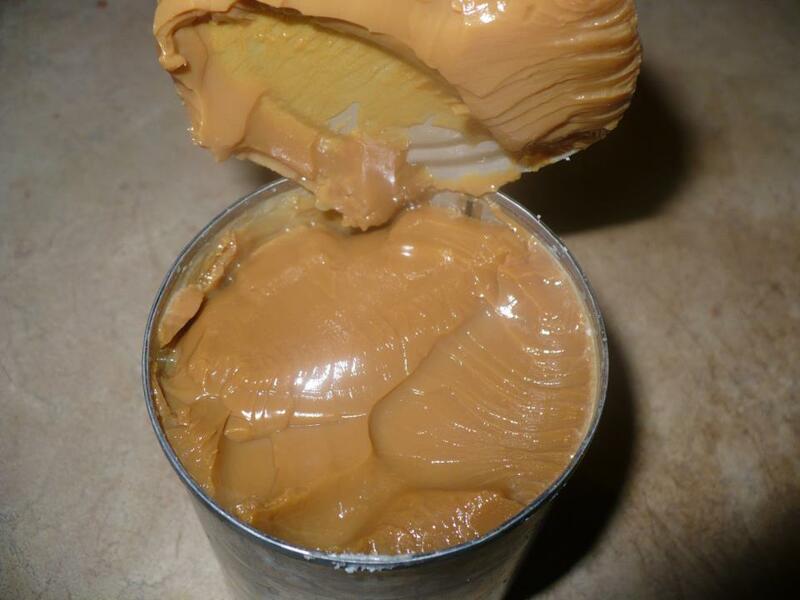 Can be found at grocery..If it is not available ,you can make it out of Sweetened Condensed Milk. In a large pan, completely submerge the can of sweetened condense milk in water. Make sure it is covered by at least one inch of water and remains covered throughout the entire process – this is VERY important otherwise it could explode. Bring to a boil. Reduce heat and simmer for three hours. Continually check to make sure the can is completely covered with water. 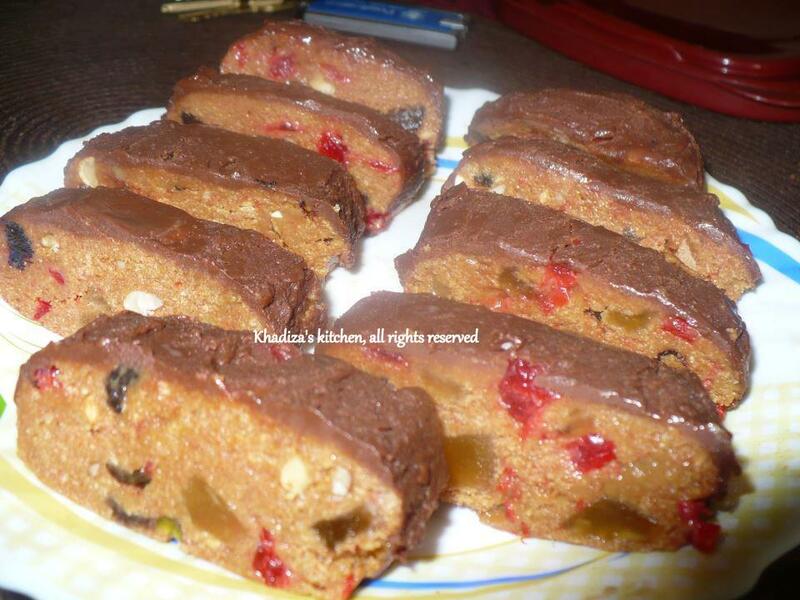 This entry was posted in Desserts, Glossary / Notes, Snacks, Snacks and Lighter Fare and tagged cake . no bake cake, cookie, dessert, snack. Bookmark the permalink. two stacks means how many biscuits? Please tell me how much is two stacks of grams, is it two packs or two crackers??? Assalamualaikum sister, your fruit cake was a hit amongst my friends. They ask me to make it at their tea parties. Thanks for teaching the recipe.